This campground is a gem. Quiet, secluded but right next to residential Ocean Springs. Ocean Springs is a beautiful town with clean beaches. Biking in the area is fun. Low traffic and pretty streets in Ocean Springs. The park roads are also low traffic. 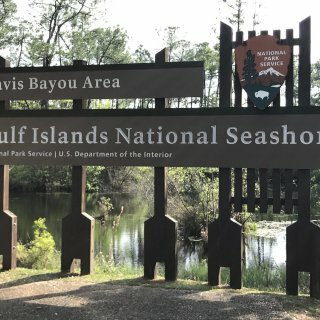 The park's upland trails are a great addition to the National Seashore. 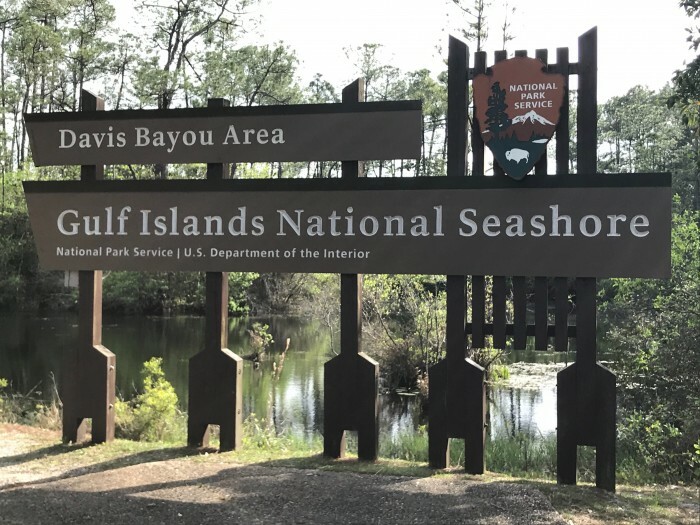 We camped at Davis Bayou Campground in a Travel Trailer. Jeff Busby is one of the free campgrounds along the Natchez Trace Parkway maintained by the National Park Service. A must stop. Quiet and dark, you are immersed in nature. Clean rest rooms with running water. The nature trail and just walking around the campground and picnic area is a wonderful experience. We camped at Jeff Busby Campground in a Travel Trailer. After many stops at the Bean Pot, I have to comment on the cleanliness and quiet of the park. Not far from the Interstate 40, yet it's as if you are camping in the woods. Well laid out, level pull throughs. Easy in and out. We'll be back. We camped at Bean Pot Campground in a Travel Trailer. We have stopped here for the past four years. We stop for two nights to visit family in the area. It is always clean and quiet; this year it showed a lot of new work. A nice park has become even nicer. A helpful family runs this 55 year old+ park. Mostly mobile homes with several RV sites. A good clean place to stay overnight. Not to mention an easy walk to a great ice cream store. We camped at Village Scene Mobile Home Park in a Travel Trailer. This clean, quiet campground is a stone's throw from the Blue Ridge Parkway. Our first stay was in 1990. This was our second stay. About one third of the sites are seasonal and the rest for visitors. Visitor rather than travelers. This is great for an overnight, but the facilities and setting makes it great for a longer stay. A very friendly person on the phone made it easy for us to arrive late. This park is better than I remembered. Our kids loved this place and now I know why. Great camping experience for a family. Plenty for kids to do. Quiet for adults to do nothing. We'll be back again without our long wait. We camped at Raccoon Holler Campground in a Travel Trailer. A quiet, clean park with level, pull through sites. Plenty of room to maneuver. Maybe less space during busier times, but in April it was great. The hook ups were positioned in a neutral position so a fore or aft connect to our RV would be possible. No staff visible, but a sign noted the manager's trailer. Pay the iron ranger and go your merry way. We stayed two nights. We'll be back. We camped at Desert Paradise Mobile Home & RV Village in a Travel Trailer. A great stop between the Interstate 20 and Big Bend National Park, TX. We stop here to provision for a trip to the park. Level pull thru sites with clean facilities. The night sky is awesome. Bring binoculars. The big plus is the Roadrunner Cafe. Food cooked to order after a long haul is sweet. The food and the folks are great. A pleasant campground outside the city center. If you call Ft. Stockton a city. Ft. Stockton has Annie Riggs Museum, historic Ft. Stockton, and a giant Roadrunner, Pete. Worth an extra day to noodle around, stock up and head to the park. We camped at Fort Stockton RV Park in a Travel Trailer.